20¢/gal on your first 40 gallons each month. 5¢/gal after that. 24-hour coverage provided by Allstate, up to 3 events per year. The best value for roadside assistance. Ever. Here's the gas-math: Pump 40 gallons each month and save $8 per month, or $96 per year. That more than covers the $69* to join. So, you're effectively getting roadside assistance for free. Try Pay with GasBuddy risk free and save 5¢/gal. What is Pay with GasBuddy Premium? 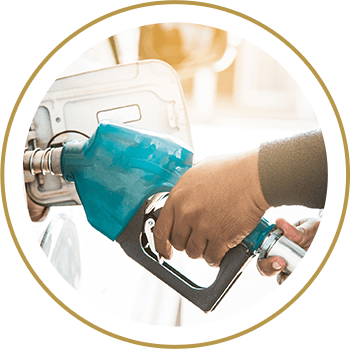 Drivers can join Pay with GasBuddy Premium and receive a deep fuel discount and 24 hour roadside assistance powered by AllState. Pay with GasBuddy works at thousands of stations nationwide, simply swipe your Pay with GasBuddy card to save 20¢/gal. 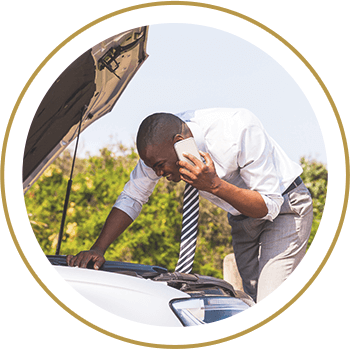 Roadside assistance is provided 24 hours a day, seven days a week and covers everything from flat tires to lockouts. Pay with GasBuddy Premium costs only 69 per year. Join today to initiate roadside coverage and start saving on every fill-up. Not sure about Premium? Join Pay with GasBuddy risk free and save 5¢/gal. Pay with GasBuddy Premium offers major fuel savings on every gallon of gas you pump. When you join Pay with GasBuddy Premium you will save 20¢/gal on up to 40 gallons per month and 5¢/gal on every fill-up after that. Keep an eye out for additional seasonal and station specific promotions throughout the year to save even more at the pump! Pay with GasBuddy Premium offers 24 hour roadside assistance on up to three events per year. Roadside coverage includes towing, on up to 10 miles, flat tire replacement, jump starts, lock out service, fuel delivery and winching. Roadside assistance can be easily accessed in seconds from the GasBuddy app. Full discount applies to up to 40 gallons per month, and 5¢ per gallon after that. Premium membership is $6.99 per month when billed monthly, or $69 per year when billed annually. Membership renews automatically. You can cancel anytime. No refunds for partial years.